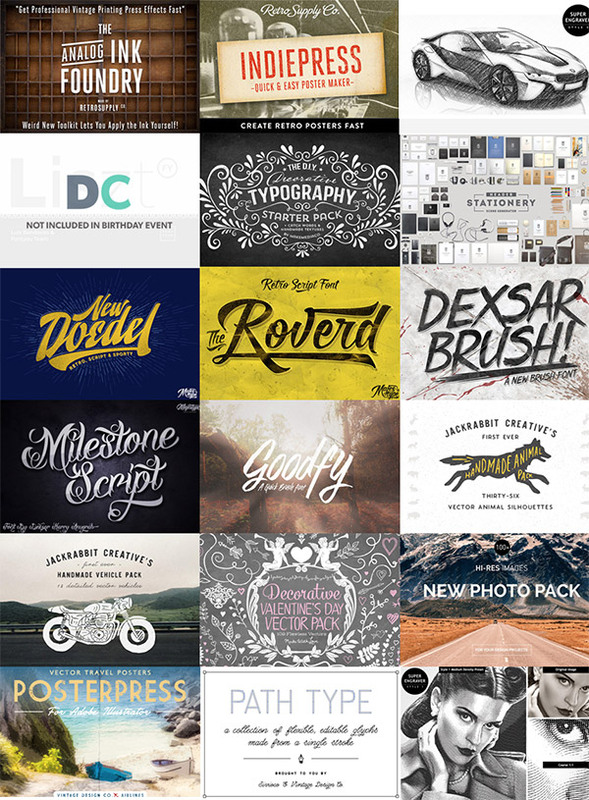 The World’s Best Design Bundles, in One Massive Event! 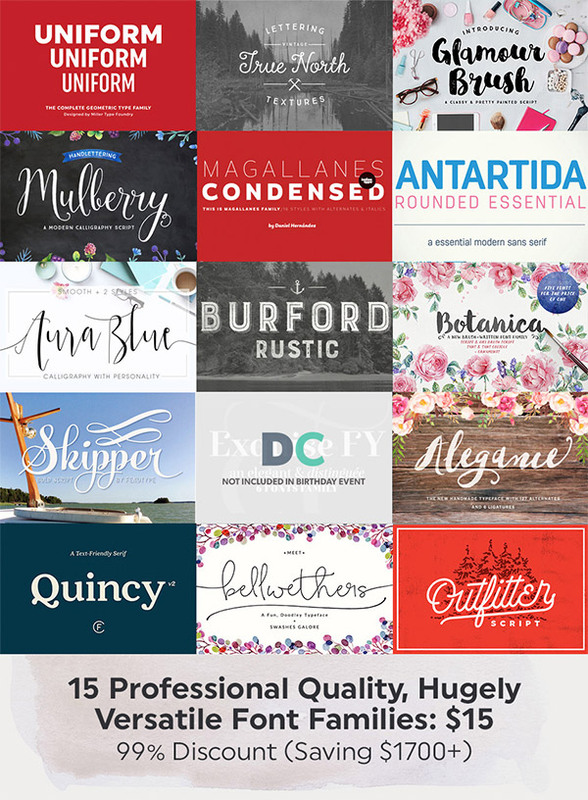 Over the past two years I’ve been working with the nice folks from Design Cuts to spread the word about their fantastic design bundles. 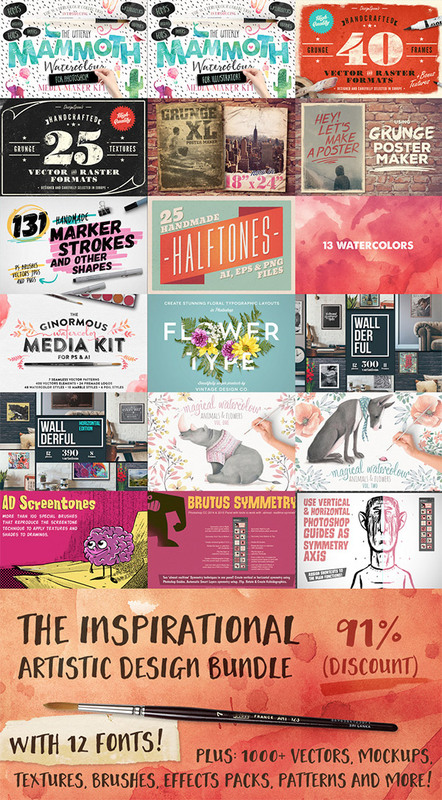 It has been great to help my readers save $1000s on top quality design resources (whilst also enjoying them myself! 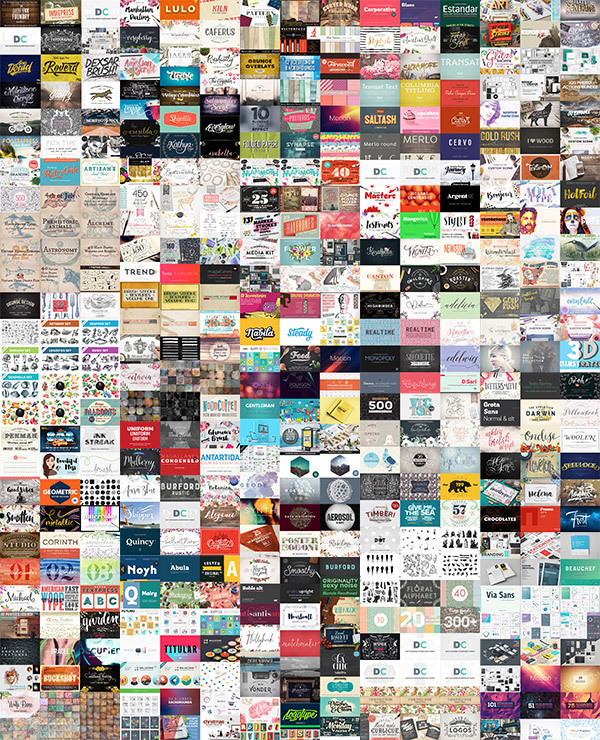 ), but for every deal I’ve shared there’s always a bunch of unfortunate people who didn’t get the news in time and missed out on the offers. If you’ve been in that situation yourself, or if you’re new around here and haven’t seen these offers before, I have some great news! 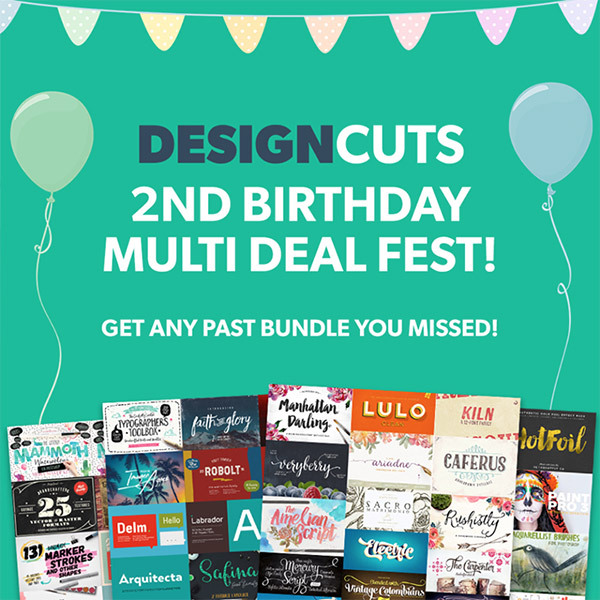 To celebrate their 2nd birthday, Design Cuts are hosting a Multi Deal Fest, allowing you to grab any bundle that you might have missed from 2015. 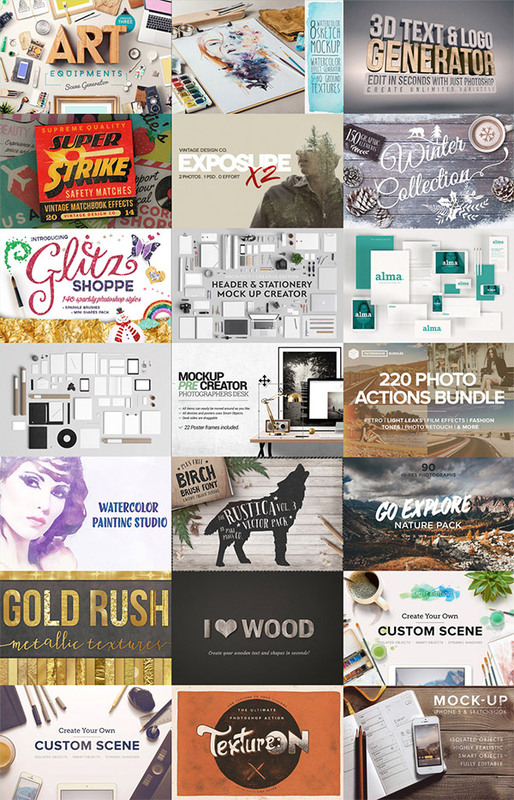 For the next two weeks you have a second chance to pick up hundreds of fonts, textures, vectors and other best selling design resources at an unbeatable price from the best design bundles in the world! 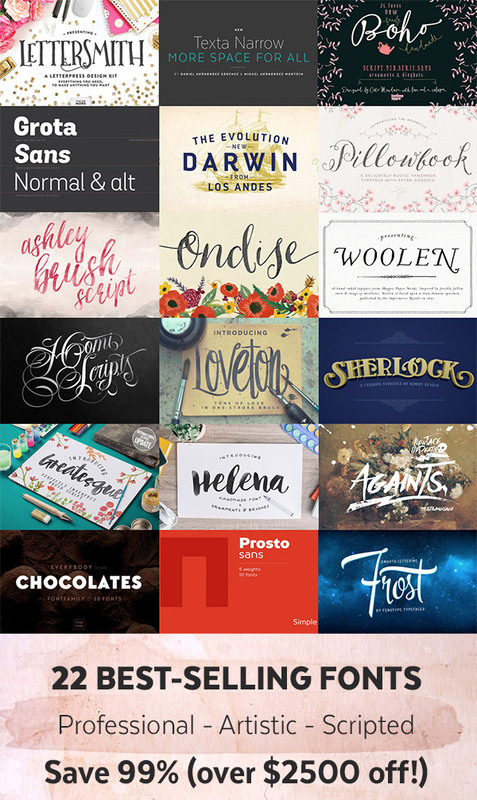 One thing I’ve learned from sharing these bundles is my readers are a bunch of crazy font nuts! 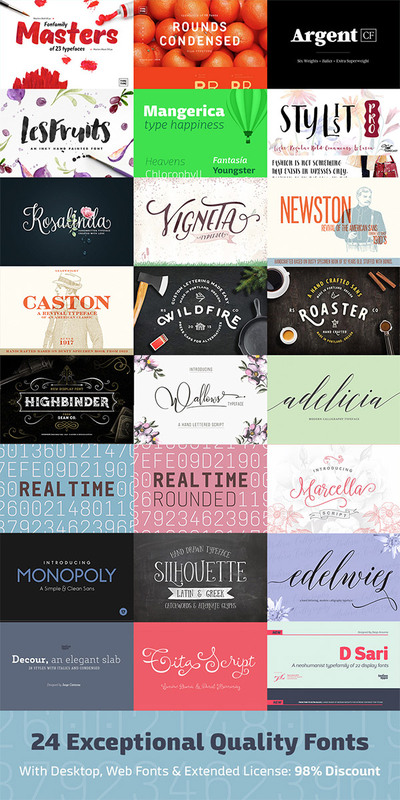 Fonts bundles are by far the most popular deals, and I can understand why because I’ve used many of the fonts I’ve picked up from these collections in my own designs. 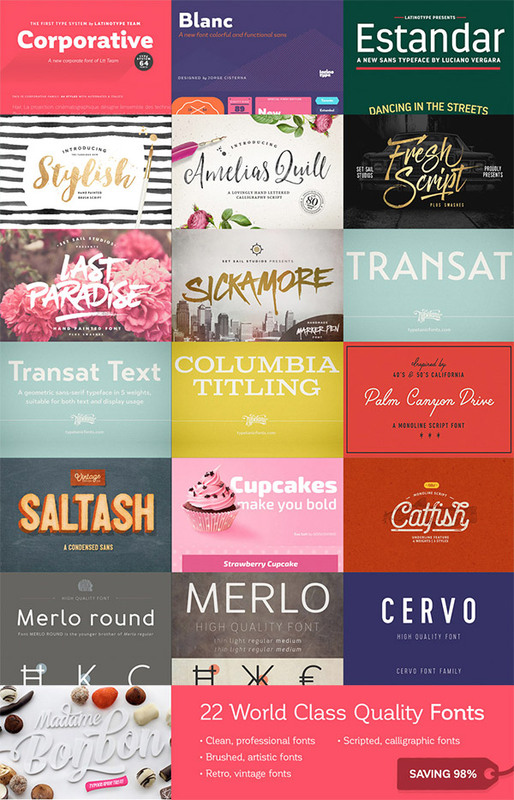 This is a fabulous opportunity to give your font library a major upgrade! 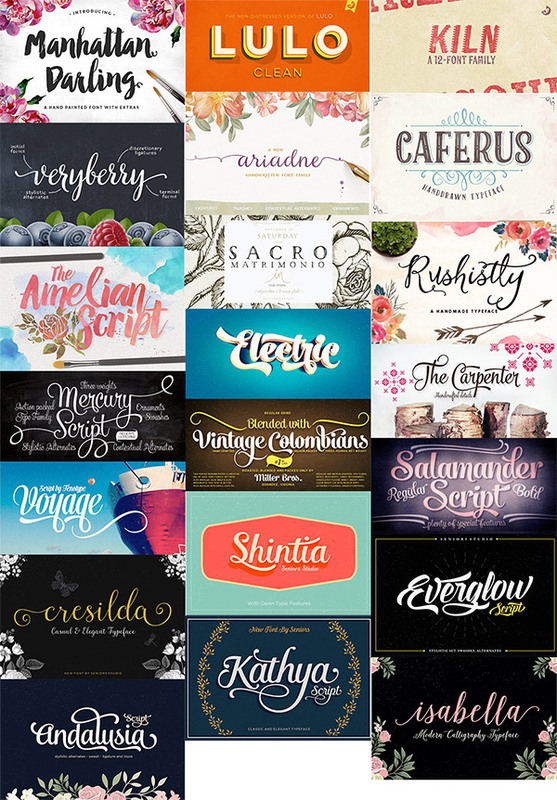 The combined value of all these fonts is a whopping $12,293! 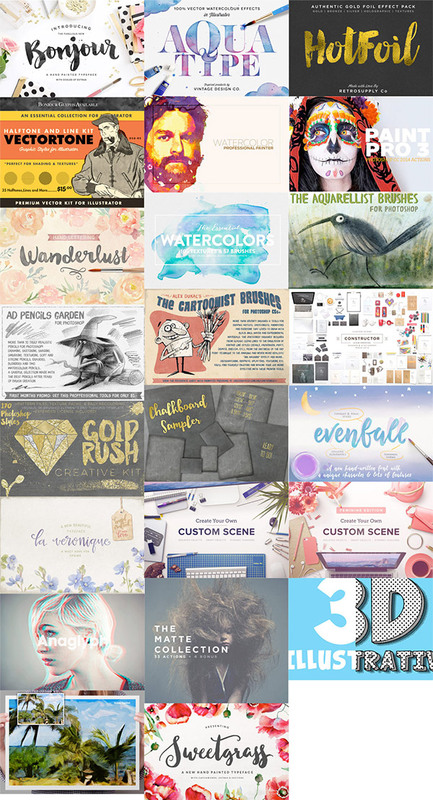 The general design bundles from Design Cuts are exciting party bags full of various types of resources, including textures, vectors, icons, templates and even more quality fonts. 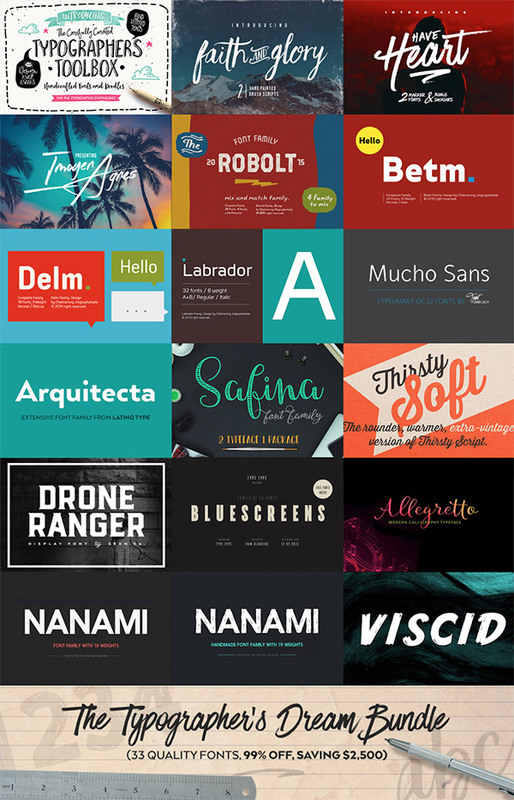 They all include best selling design products, many of which usually cost more than the entire bundle at their full price so it’s a cost effective way to arm yourself with the tools you might need in your future design projects. 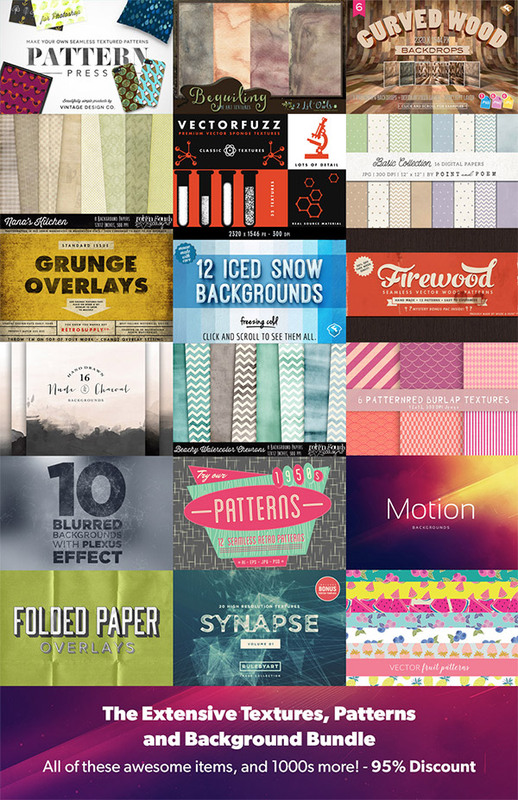 Find out more about the contents of each bundle over at the Design Cuts Multi Deal Fest, where all of these deals are being re-run for 2 weeks to celebrate their 2nd birthday. 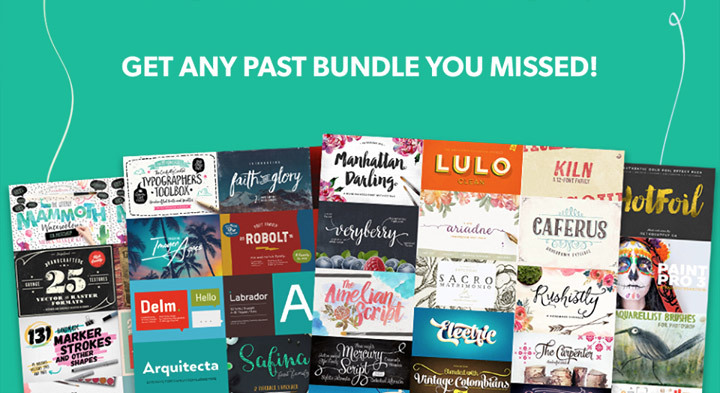 This is a great opportunity for those who previously missed out on a bundle they didn’t catch in time, or those who want to seriously upgrade their toolkit while saving thousands of dollars. 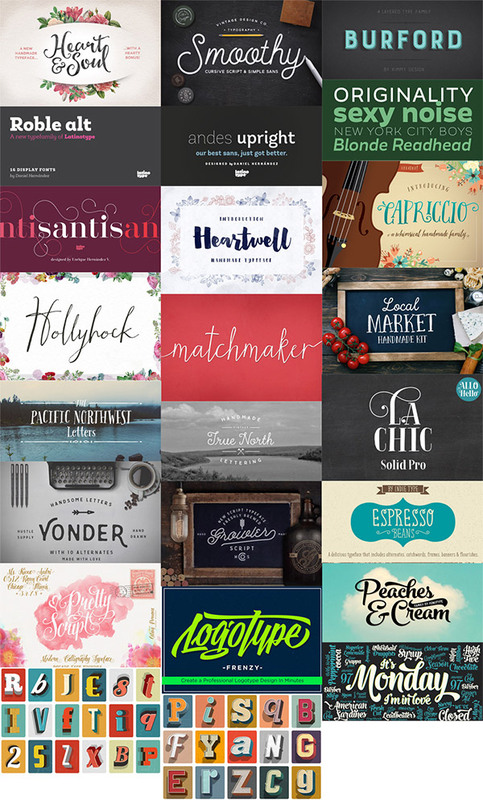 See the best design bundles in the world!